Horsham Car Centre has been selected as the most recent UK dealership to sell Abarth cars. The family-run garage, which is already the longest established Jeep dealership in the UK, is now the 26th dealer of Abarth cars, FIAT’s racing division. The team has welcomed the new franchise addition, after its opening in July. When companies are selected as a dealer for a new car brand they must reassess the business and setting as a whole. When looking into how to accommodate the additional vehicles, a revision of their motor trade insurance policy is a must. In cases like this, a firm’s current road risk insurance policy might also need to be extended to provide cover for staff to move specialist, high performance vehicles, due to the nature of the racing cars. 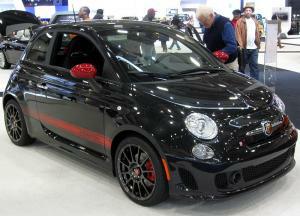 Horsham Car Centre will be the only provider of Abarth cars within a 50-mile radius, excluding London. The garage will also continue to be a top provider of Jeeps, as they expect a range of exciting new models to arrive over the coming months.